König, Götz. 2016. Yašt 3. Der avestische Text und seine mittel- und neupersische Übersetzungen. Einleitung, Text, Kommentar. The third Yašt (“hymn”) in the collection of the 21 (22) YAv Yašts is dedicated to (the deity, prayer and the divine correspondence of the fire) Aša Vahišta “Best Order”. The text formulates an (eschatologically significant) ritual context and a magical (= medical) charm. Due to the ritual and medical importance of Yt 3, various translations into Middle and New Persian can be found. They provide insights into the interpretation of the text by the later Zoroastrians. 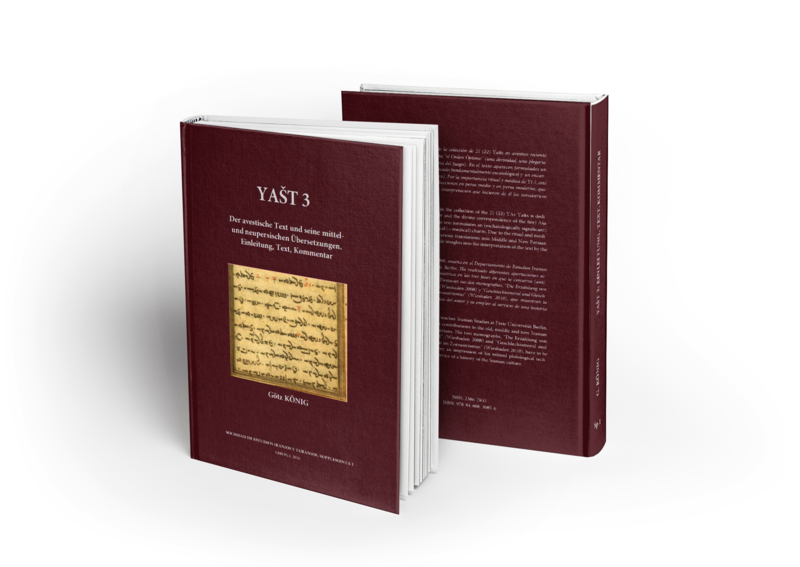 Ardwahišt Yašt is the third in the series of Avestan hymns addressed to individual divinities. It is devoted to one of the greatest of the Zoroastrian Aməša Spəntas, Aša Vahišta. TheArdwahišt Yašt is itself accordingly recited in rituals to cure the sick.